New powertrain will be about performance, not fuel economy. 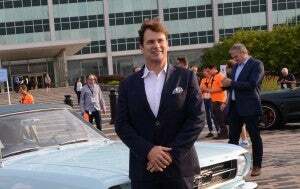 Ford EVP Jim Farley took time during the celebration of the 10 millionth Mustang to discuss the evolution of the Mustang, including the upcoming hybrid model. Ford Motor Co. is eager to keep the buzz around the Mustang alive as the company makes the transition to a world where autonomous and electrified vehicles are common, one of the company’s top executives told reporters after the automaker marked the production of the 10 millionth Mustang. Jim Farley, executive vice president and president of Global Markets, said the long-running success of the Mustang, which has become a global brand, can serve as a beacon for the company as it goes through what amounts to once-every-100-years transition. “Mustang is the heart and soul of the Ford Motors Co. It’s a global product and it’s one of the reasons we’re different as a company.” Farley said. “It inspires other vehicles in the line-up. The ‘Mustangness’ of the company is starting with its products,” such the electric vehicles Ford has under development now. “The company has confidence in the Mustang and it knows the customer really well. “Mustang has more Facebook followers than any other car: period. It comes down to one thing: Mustang is the best of the Ford Motor Co. It delivers that sense of freedom we all want Mustang is the heart and soul of the Ford Motor Co. At the same, time the Mustang itself will continue to evolve,” Farley said. The most powerful street-legal Mustang, the GT500, is coming to showrooms next year and our hybrid Mustang are right around the corner, Farley said. “So Mustang is going to keep on going,” he said. The hybrid Mustang waiting in the wings will build on traditional strengths of the Mustang brand. “Fun and affordability” have always been part of formula underlying the Mustang, which has used a variety of powertrains from 4-cylinder engines to muscular V8s during its 54-year history, he noted. 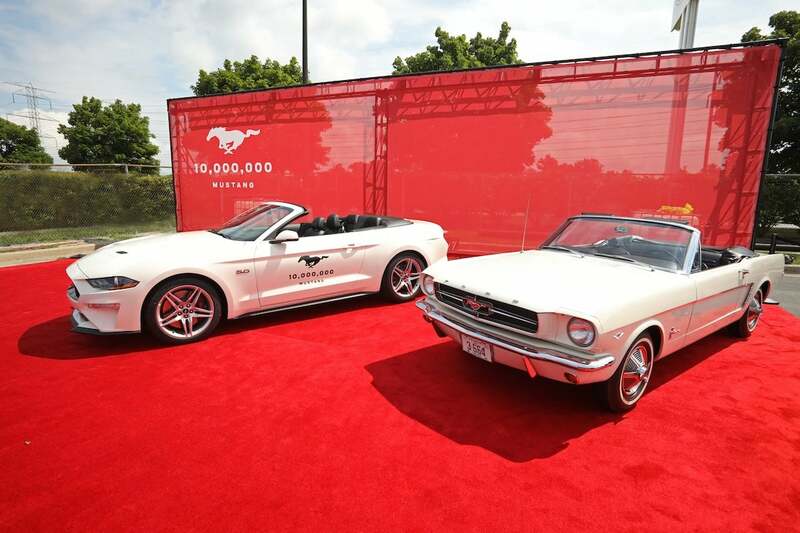 The evolution of the between the first and 10 millionth Mustang is apparent here, and it will continue with a hybrid offering. “The hybrid is not about fuel economy. It’s about adding performance. It’s a different twist on hybrid,” said Farley, who was a rising junior executive at Toyota when it launched the Prius. At the same, Ford is preparing to build autonomous vehicles at the assembly plant in Flat Rock that is the home of Mustang production. The plant has exported more than 480,000 vehicles to 146 countries in the last four years, Farley said. “It’s just in early days but it’s going to a very interesting mix,” said Farley of the planning at the Flat Rock factory for the debut of Ford’s AVs. “We’re making great progress on the product. Obviously, we’re a couple years away. 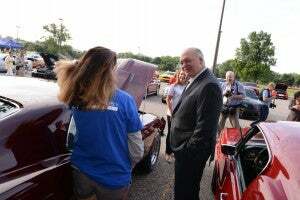 But the product is coming along really nicely,” Farley said. This entry was posted on Thursday, August 9th, 2018 at and is filed under Asia Pacific, Automobiles, China, Electrified Vehicles, Europe, Executives, Ford, Hybrids, Markets, NAFTA, Personalities, Sales, South America, Sports Cars, Technology, Trends, U.S./North America. You can follow any responses to this entry through the RSS 2.0 feed. Both comments and pings are currently closed.